Acts as the official student spokesperson for the institute. Provides general leadership and presides over all Student meetings. Serves as the liaison between Students, the Leadership Team, and the Advisory Board. Together with the Vice-Chairperson, organizes informal gatherings that promote dialogue and community among Students. Emma Mansberg is a sophomore from Memphis, Tennessee. She is majoring in Political Science and double minoring in the Blount Scholars Program and Social Innovation and Leadership. In addition, she is a part of the University Fellows Experience and devoted May 2018 to working in Marion, Alabama where she addressed issues of rural healthcare. She is very involved in the Honors College, having participating in the SaveFirst tax initiative in addition to serving as the Director of Civic Engagement for the Honors College Assembly. 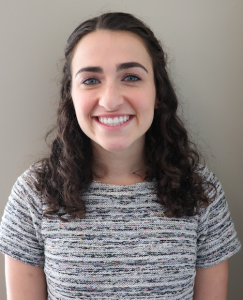 In the summer of 2019, she will be working as a Birthright Excel fellow at a startup company in Tel Aviv, Israel. In her free time, Emma does long-distance running and is active in the University of Alabama Bloom Hillel. She intends to graduate in May of 2020, get her Masters degree in Marketing at UA by May of 2021, then continue on to law school. She is specifically interested in civil rights and immigration law in addition to hands-on work to create effective policy that combats poverty. Presides over meetings of Students in the absence of the Chairperson. Together with the Chairperson, organizes informal gatherings that promote dialogue and community among Students. Hani Razavi is a senior at the University of Alabama where he is currently studying Political Science in pursuit of a law degree. 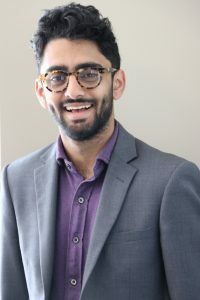 During his ongoing tenure at the University, Hani served as an engagement ambassador for the Student Government Association and as parliamentarian for the university Senate. As parliamentarian Hani worked to moderate the Senators during sessions and ensure the ethical implementation of parliamentary procedures. In his free time, Hani indulges in camping, road trips, and studying military history. Hani is from Ft. Rucker Alabama. Internally publicizes all Institute activities and personal achievements of Blackburn Students and Blackburn Fellows (via Facebook, email, telephone, etc.). Provides appropriate external individuals, departments, and media with relevant information regarding Institute activities and events (i.e. press releases, event descriptions, post-event summaries, etc.). Coordinates the gathering of information for the website and publications. Jacob Dennis is a junior from Prattville, Alabama, pursuing majors in Mathematics, Spanish, and French. Jacob is also a student in the Accelerated Master’s Program and, after completing his undergraduate studies next year, will pursue his MA in Romance Languages. He has ambitions to attend law school upon completion of his graduate studies at the Capstone. He has served as the Communications Officer for the Alabama District of Circle K International and as the Deputy Director of Engagement for the Student Government Association. 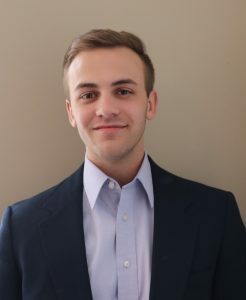 He enjoys volunteering with the French and Spanish Outreach programs and is a proud member of Alpha Psi Omega National Theatre Honor Society, Phi Sigma Pi National Honor Fraternity, and the UA Club Swim Team. Jacob has a passion for world languages and cultures, as well as for education and public policy. He has an interest in exploring the intersection of his passions, specifically within Alabama public schools. Jacob enjoys travel, theatre, and adventure, all of which blend perfectly together with his love for culture.